HydraFacial uses a Vortex tip to create a gentle suction that removes dead skin cells and extracts impurities from the skin. This removes dirt and debris from the skin to unclog pores and hydrate the skin. The result is an immediate, visible improvement of the skin’s radiance and hydration. You will a gentle, rough pressure but should not expect to experience discomfort. HydraFacial can be safely used on acne patients to calm existing breakouts and prevent new breakouts from happening. HydraFacial treatments are highly customized. Patients can opt for a Signature, Deluxe or Platinum HydraFacial, each containing different elements based on your individual concerns. All treatments include extractions, an acid peel, and infusion. Add-on options include high-end serums and peptides, lymphatic drainage and LED light therapy. The treatment typically takes 30-45 minutes. HydraFacial has an excellent safety profile and is safe for all skin types and most skin conditions, including acne, melasma, and rosacea. As with all procedures, Dr. Cox stresses the importance of finding an experienced team to guide you through treatment options and help obtain the best results. HydraFacial is very well tolerated. There is no downtime associated with HydraFacial. Immediately after treatment, your skin may appear pink. The removal of dead skin, dirt, and other debris causes the skin to appear noticeably smoother and more radiant after treatment. Because HydraFacial delivers deep hydration, you’ll notice plumper, more moisturized skin. 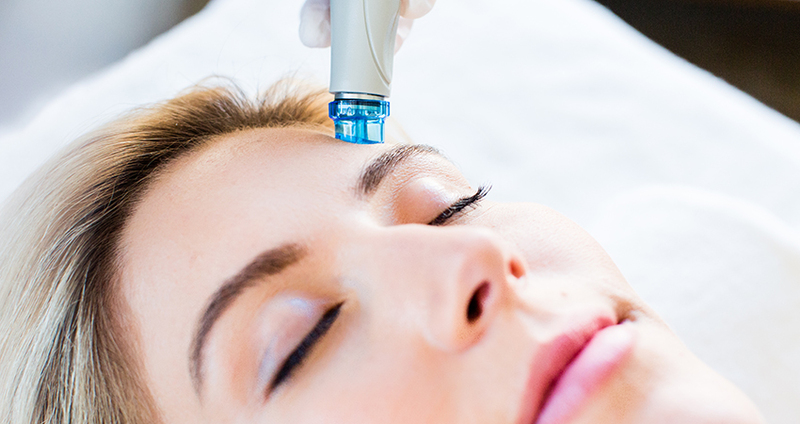 HydraFacial infusions also improve specific skin issues over a series of treatments by delivering vitamins, antioxidants and other therapeutic ingredients that address skin quality, dullness, dryness, uneven complexion and acne. Many patients opt for regular HydraFacials as a core component of their skin care regimens. 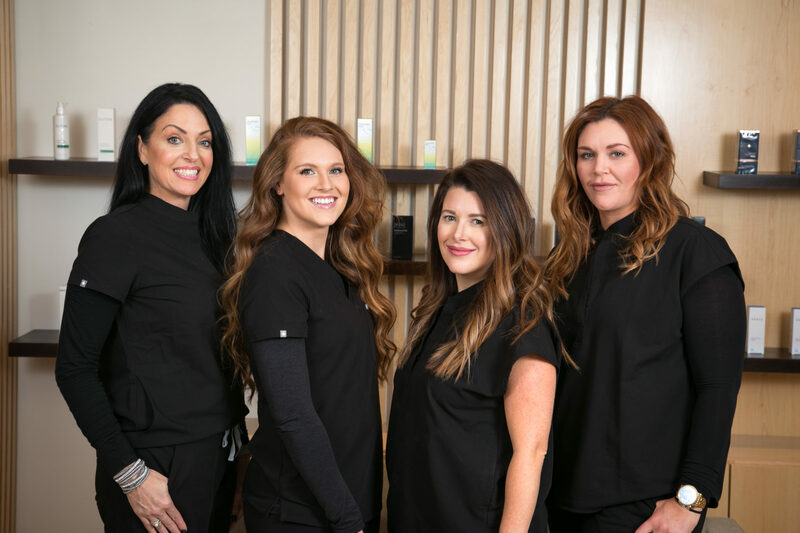 Our team of aesthetics experts receive training, preserving clinical standards of safety and treatment technique. Our services include skin care product guidance to protect and extend your results. This was my first time to have the HydraFacial done. It was truly amazing! My skin felt so clean and soft , . Sherry did an excellent job! She explained everything that she was doing and made me feel very relaxed. Afterwards people commented on how my face looked glowing and how clear my complexion was. I went the next 3 days with no makeup! My skin felt incredibly soft and firm. Thank you Sherry and Dr. Cox for having this treatment available! I’ve been going to Dr. Cox for years for various services to help me look my best. I have great respect for all the aestheticians on Dr. Cox’s team, and over the years have received treatments from all of them. For the past year I have been working with Sherry, and to my great satisfaction she has introduced me to two kinds of facials they are new for me, as well as cleansing treatments that have been the perfect fit for my sensitive skin. Sherry is truly gifted at her job – excellent at tuning into the particulars of my skin condition and providing me with the care and advice I need. Honestly, I don’t know what I would do without the support of Sherry and the great professionals at Aesthetic Solutions. Thank you so much for insisting on top-of-the-line quality in all that you do.